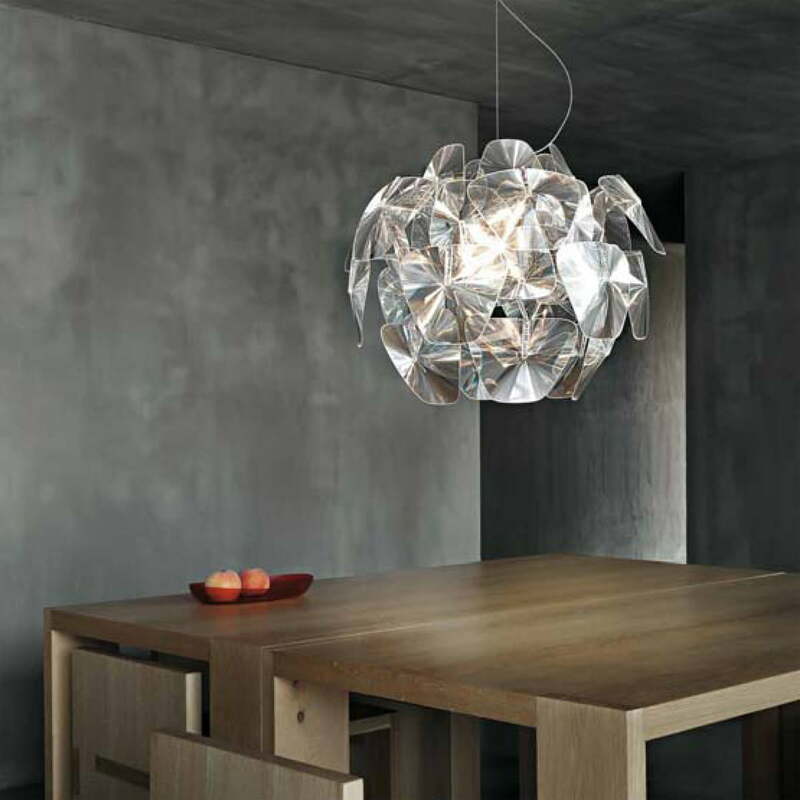 The Hope pendant lamp by Luceplan embodies the magic of traditional lamps and re-interprets them with thought technologies and contemporaneous materials. 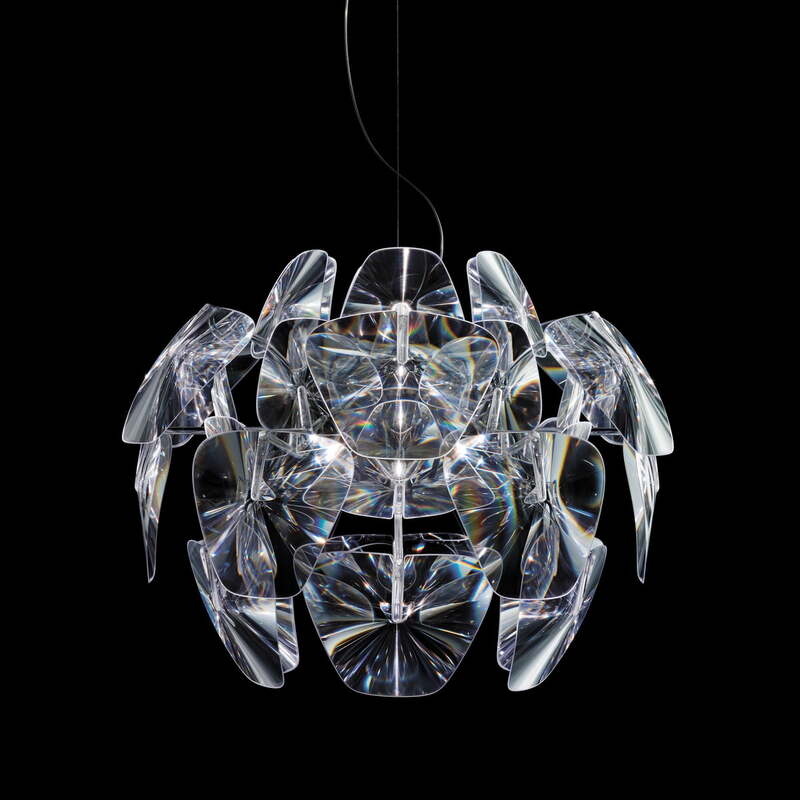 The multiple awarded design was coined by Paolo Rizzatto and Francisco Gomez Paz. Organic inspiration and technological innovation make up a part of the fascination that is spread by Hope. 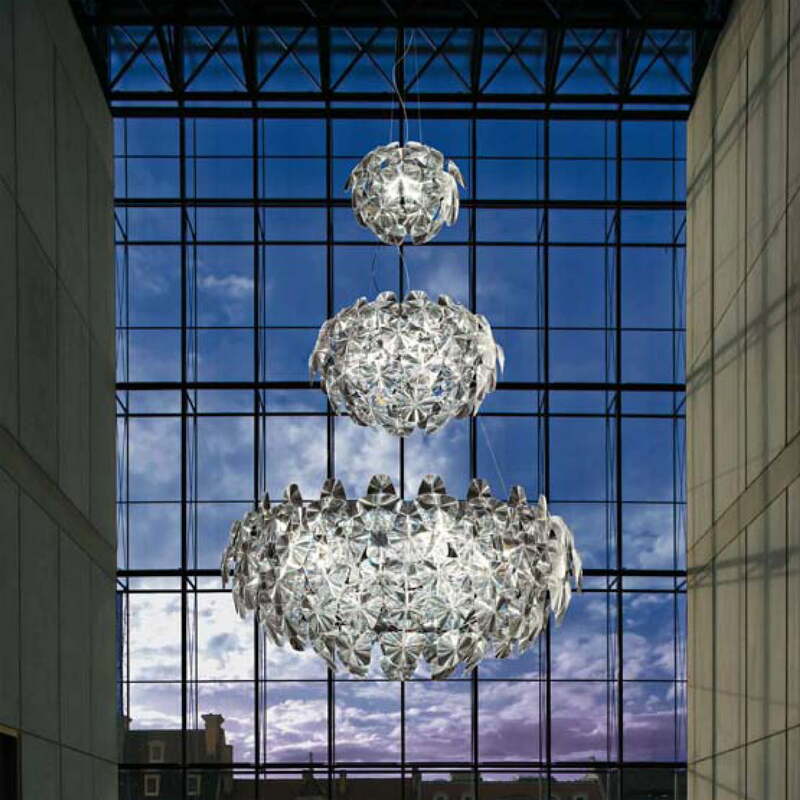 Combinable, original, versatile and elegant, Hope embodies the philosophy of Luceplan. The separation of transitory trends is thereby reached by the timeless design. The balance between material weight and weightlessness was the guideline of the project while constructing Hope. 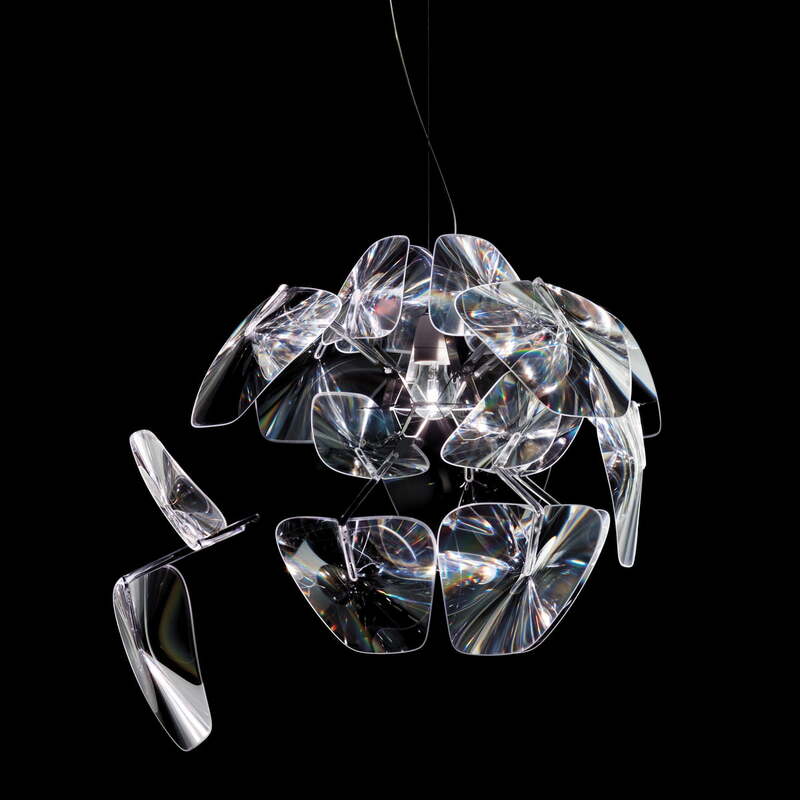 Paolo Rizzatto and Francisco Gomez Paz offered Hope an original design which interacts fascinatingly with the spreading light. 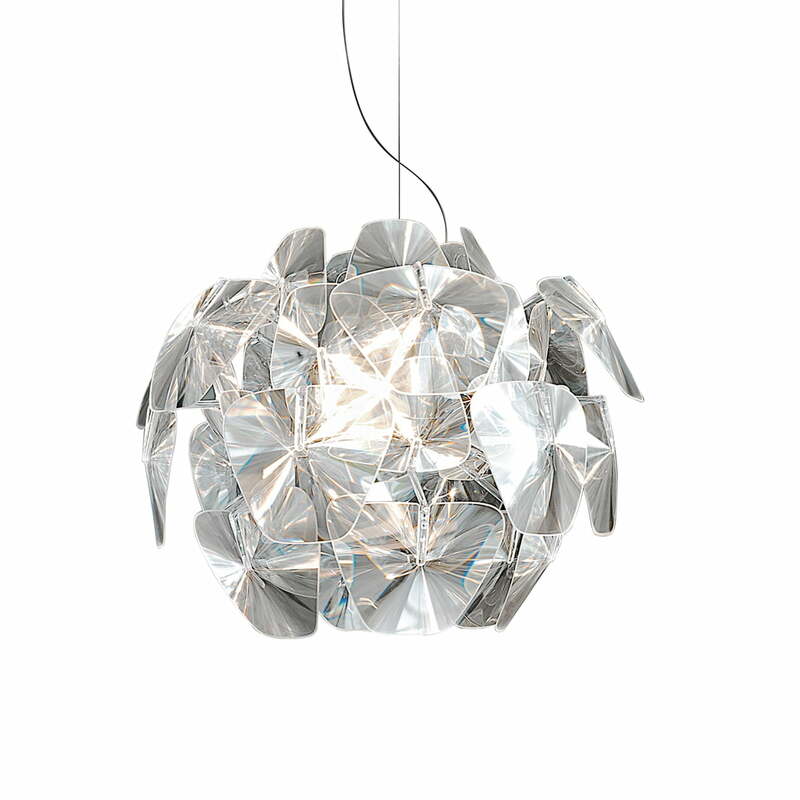 The external petals consist of polycarbonate and are actually Fresnel-lenses with extraordinary reflecting and light-calculating abilities. 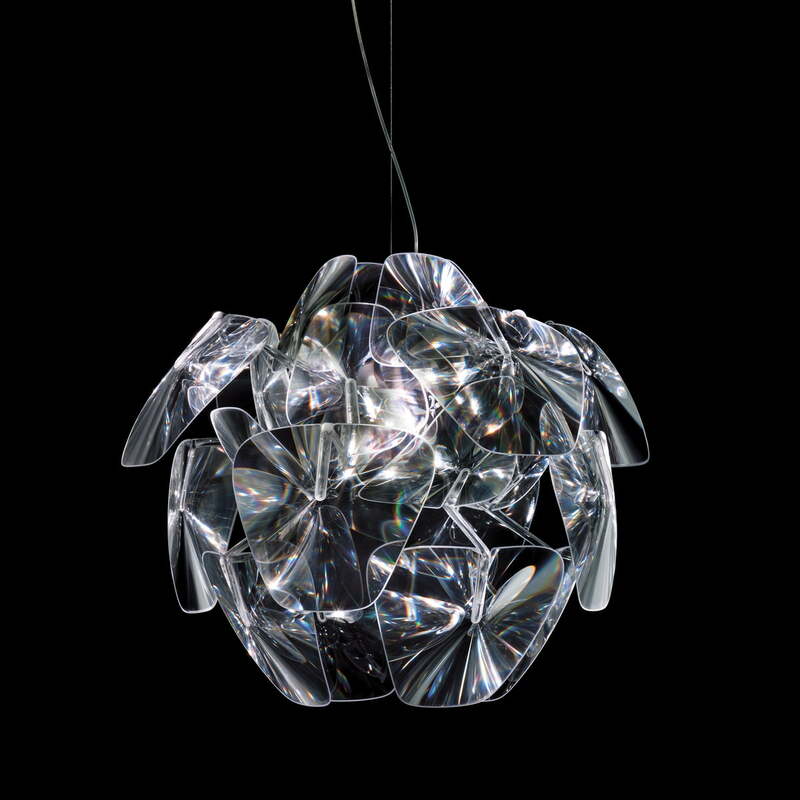 They reinforce the fascinating effect of the light and reduce the energy consumption of the lamp. 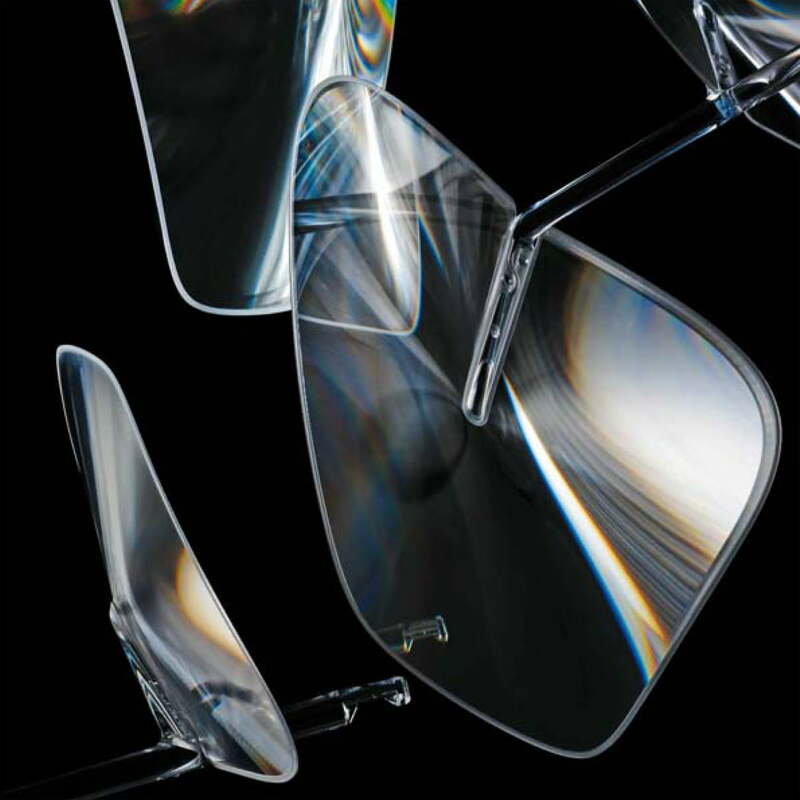 Hope has been awarded with the Compasso d'Oro in the year 2011 for the innovative use of Fresnel-lenses and the graceful light. The lamp that has been introduced in the market in 2009 by Luceplan has already won the red dot design award and the Good Design Award. 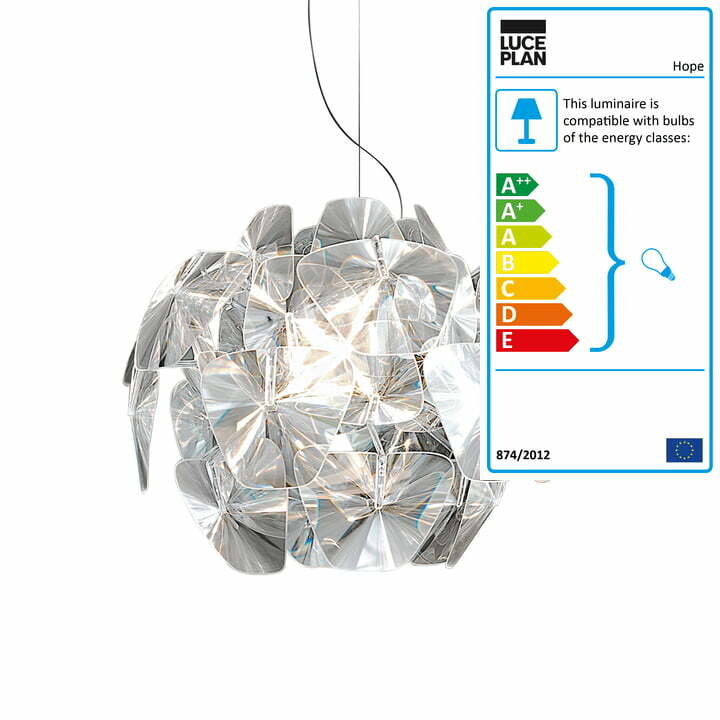 The lamp family Hope includes floor-, wall-, ceiling- and pendant-lamps. 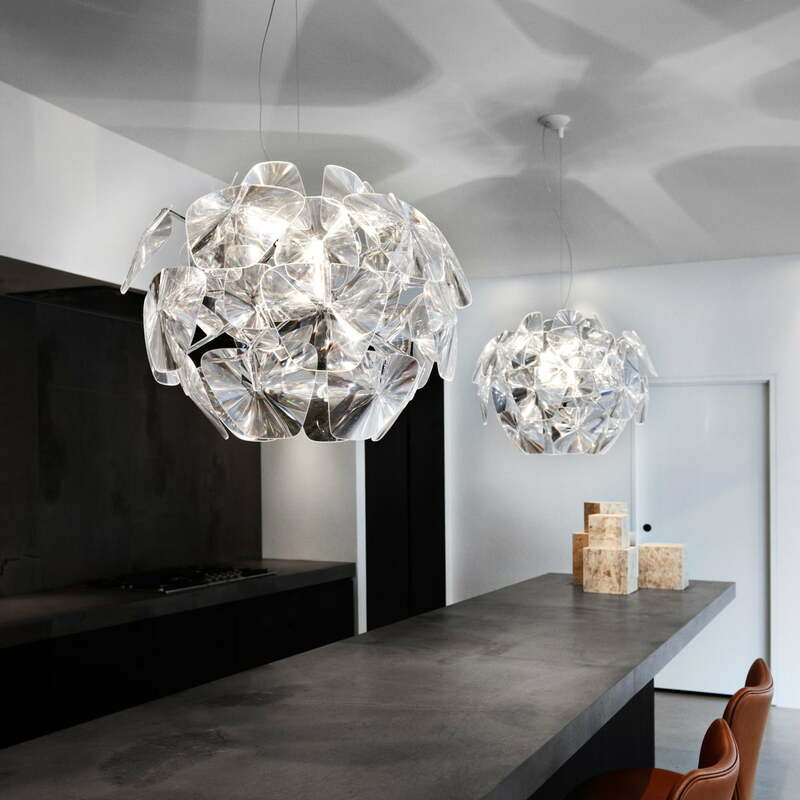 Thanks to a practical assembly set, the pendant lamp that is available in different sizes offers multiple usage possibilities. 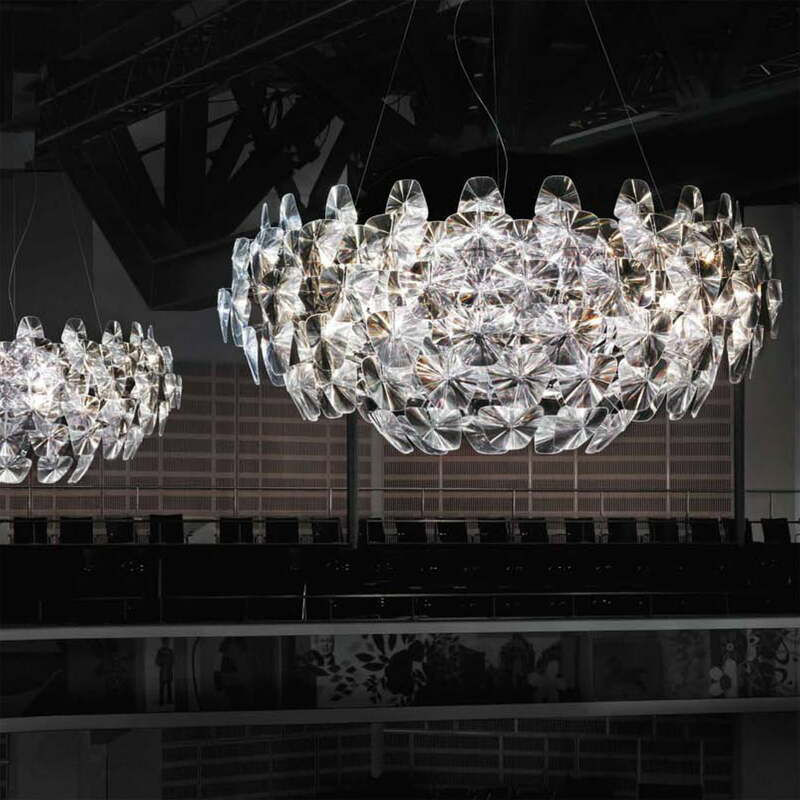 The lamps' arms can be configured individually so that each desired room can be illuminated differently. 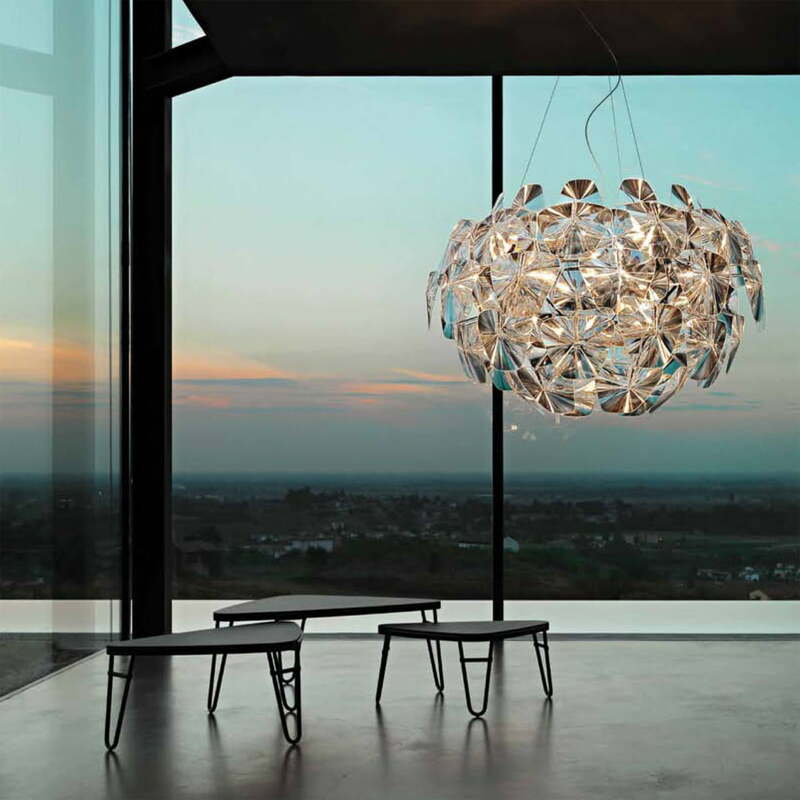 With the help of a special kit for a special assembly, furthermore more Hope pendant lamps can be connected with each other. 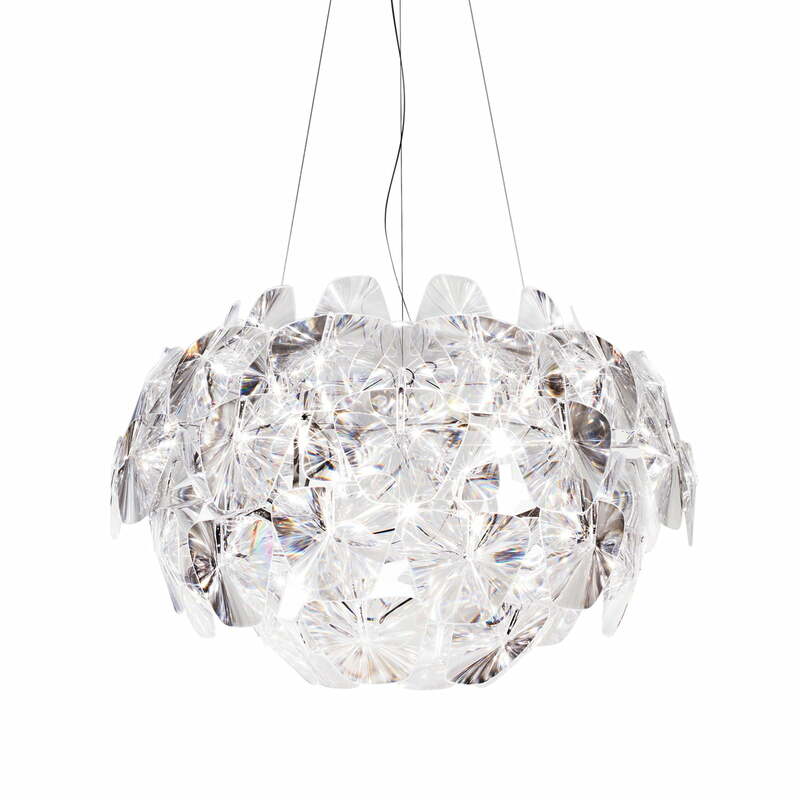 An absolutely stunning lamp, perfect for the office. 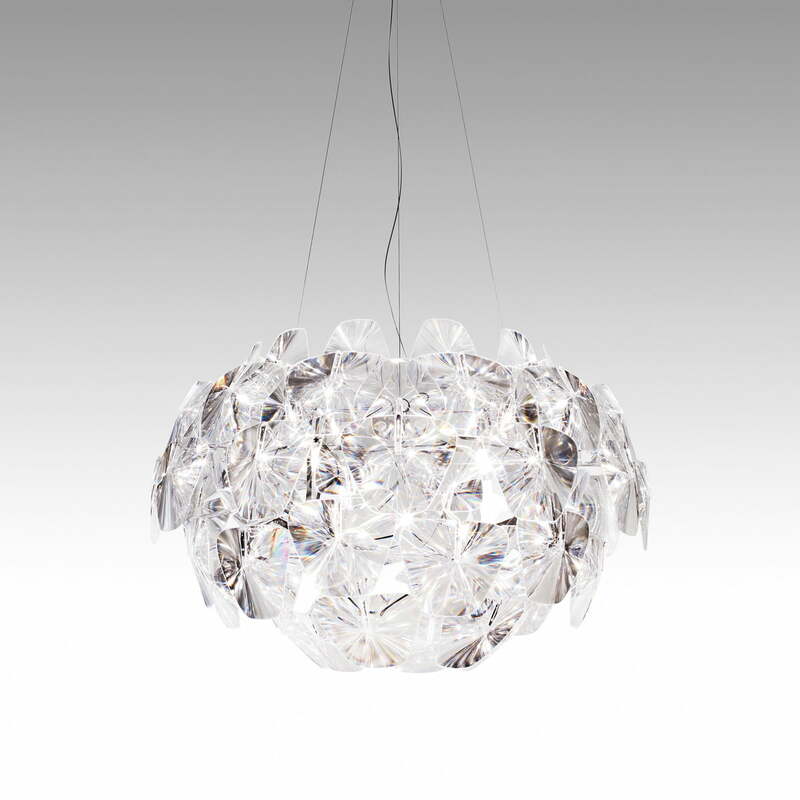 It expertly plays with light and seems to float in the air. Great price and quick delivery from Connox.